Over the last few weeks, there’s been renewed buzz about a potential rematch between UFC lightweight champion Khabib Nurmagomedov and former champion Conor McGregor. UFC President Dana White has suggested the fight could be coming, and even Nurmagomedov’s coach Javier Mendez seems to want to see it next. Khabib Nurmagomedov himself, however, is dismissive of a potential rematch with Conor McGregor. Khabib Nurmagomedov and Conor McGregor first fought on October 6, in the main event of the record-breaking UFC 229 pay-per-view. On that night, Nurmagomedov defeated McGregor by fourth-round submission to retain the UFC lightweight title. After the fight, the pair and several members of their respective teams engaged in a post-fight brawl, both inside and outside the Octagon. The parties involved in this chaotic post-fight scene are currently awaiting discipline from the Nevada State Athletic Commission. Their hearing is currently scheduled for January 29. 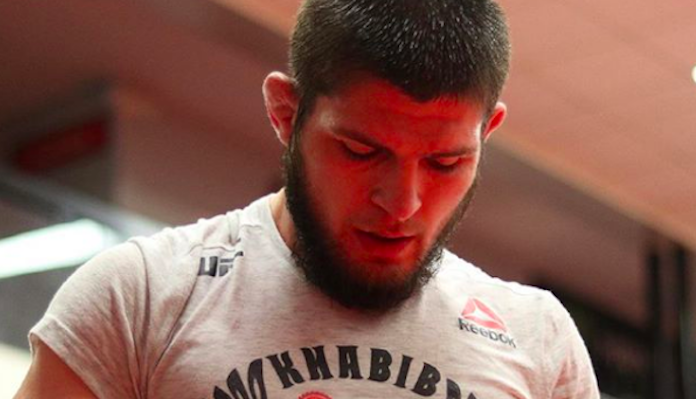 Khabib Nurmagomedov is quick to remind that, until this situation is squared away, there will be no fight. Once that’s settled, he can begin seriously looking at the options for his next opponent. Khabib Nurmagomedov is currently a jaw-dropping 27-0 overall, with wins over McGregor, Al Iaquinta, Edson Barboza, Michael Johnson, Rafael dos Anjos and many others on his impressive resume. 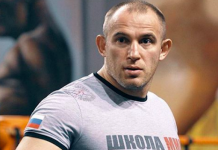 Who do you want to see the Russian star fight next? Make your pick in the comments section below.